Explore the incredible Columbia Glacier and Glacier Island area. Paddle the icebergs of the mighty Columbia Glacier, followed by a crossing to Glacier Island for a paddle at the Sea Lion haul-out. One of our more popular trips! 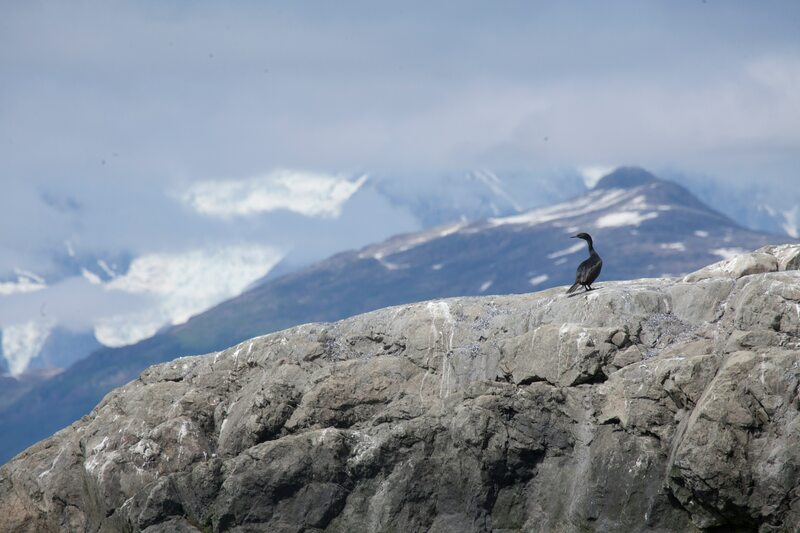 This 3 day kayaking tour is designed for anyone with a sense of adventure and ready to paddle amongst the wonderful shores, ice and marine life of the Prince William Sound. We will have the chance to paddle through the ice of the Columbia Glacier and on to the peaceful bays of Glacier Island. Novice and beginner paddlers are welcome. Day 1 - Meet in Valdez at our shop in the morning for a safety briefing and orientation. From there we board our water taxi for the brilliant cruise out to Heather Bay, our access to the mighty Columbia Glacier – the largest tide water glacier in Prince William Sound. Here we embark on our journey into the massive floating icefield and amongst its towering icebergs, eventually to a secluded moraine with a view of the glacier. As we paddle away from the Columbia we keep a look out for numerous marine mammals, possibly seeing harbor seals, sea otters, and perhaps a glimpse of an orca. On this night we make camp in Heather Bay and settle in for some tasty camp cuisine cooked by our guides. Day 2 - After our first night camping we're off towards Glacier Island. With the Columbia Glacier to our backs, we make a two mile crossing south to Glacier Island where we are treated to more ancient rainforest and icebergs grinding against the shore. There is a multitude of inlets and bays to explore on the north side of the island, plus numerous hikes and beach-combing opportunities. We may climb one of the spectacular ridges giving us wonderful views of Naked Island and the Columbia Glacier. The elusive snow covered peaks of Montague Island may even come into view. Our guides will provide another fine meal before settling in for the evening. Day 3 - An early start will lead us around the corner of the island to Bull Head. Here we will find a colony of Stellar Sea Lions which can be seen feeding, fighting, swimming and sleeping. As we watch these curious creatures, be on the look out for puffins and cormorants which inhabit the rugged caves along the coastline. We stop at an amazing beach for lunch and a hike up through the rainforest. After lunch we're off to Chamberlain Bay for some more exploring before we are picked up and taken back to Valdez by the water taxi. It is important to note, that now, with the Columbia Bay opening up, and its upper reaches becoming more accessible, the size of the area to explore out there has increased significantly. Therefore, while the 3 day is still enough time to check out the old terminal moraine where icebergs have drifted out and gotten caught up in the shallows, as well as paddle south from there to Glacier Island, and weather permitting, around the south side to Bull Head to see the sea lion haul-out, it is not enough time to do all that as well as see the face. So there has recently become a bit of a fork in the road, and while some parties like to run that original itinerary (and rightly so! ), some now choose to spend most of their time closer to the upper bay amphitheater where the faces of all the different branches dumping into the sea are located. This is a spectacular itinerary, too, but with it, there is not really enough time to experience Glacier Island, as well. If groups are really intent on upping their chances for seeing both places (Upper Columbia Bay AND Glacier Island), the 4-Day becomes a more realistic option.